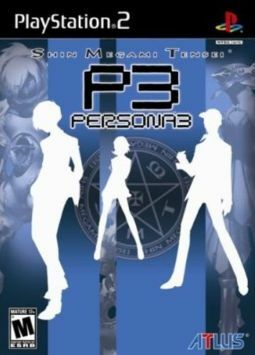 Shin Megami Tensi Persona 3 is the fourth installment of legendary game series of Persona. Persona 3 is made from a combined form of an RPG and a simulation of life. The game was released on July 24, 2007. The story is about a young boy who just transferred to his city of childhood. He is attacked by shadows, a creature that appears at midnight in a time space called “The Dark Hour”. This assault awaken his persona, called Orpheus. This persona is the only thing that can defeat the shadows. But our hero isn’t alone, there will be friends who shares the same fate as him and they will be united in Specialized Extracurricular Execution Squad (SEES). The game play is really simple actually, just another turn based RPG. But, what makes Persona 3 special is the life of the main character that we control. We will experience a teenager life in high school in day by day, and battling the shadows at midnight. By interacting with your friends in school, you will strengthen your ability in combining persona which can be a very valuable ally in battle. The game only allows you to control the main protagonist, while the other character will be controlled by AI that you can set in “Tactics” menu in Battle. In combat, your character and his friends will use a gun to summon the persona named “Evoker” which used by pointing the gun at the head and pulling the trigger. This game is so far one of the best RPG I have ever played in PS2 besides final fantasy. The best thing I found is the life simulation part of this game, many characters that I found in this game is always interesting and many times I get so emotional when I get to know them better. The story is very fresh, because using our present time as the base time and no other games done it. The second thing is the ability to combine your persona. It’s always interesting to make persona with many skills and many persona in this game looks very cool, the persona uses names from many legend and religion, example: Hanuman, Sarasvati, Gabriel, Raphael, Abbadon, Nata Taishi, and many more. The good thing is the persona doesn’t just use the name, it visualizes them in an interesting way.